How extra virgin olive oil can help our bones? The incidence of osteoporosis and associated fractures is found to be lower in countries where the Mediterranean diet is predominant. These observations might be mediated by the active constituents of olive oil and especially phenolic compounds. The objective of the study led by Spanish researchers was to examine the longitudinal effects of a low-fat control diet (n = 34), a Mediterranean diet enriched with nuts (MedDiet+nuts, n = 51), or a Mediterranean diet enriched with virgin olive oil (MedDiet+VOO, n = 42) on circulating forms of OC and bone formation markers in elderly men at high cardiovascular risk. Age-related bone mass loss and decreased bone strength is an almost invariable feature of human biology, affecting women and men alike as an important determinant of osteoporosis and fracture risk. Nutritional factors are known to be involved in age-related bone loss associated with osteoblast insufficiency during continuous bone remodeling, in interaction with a combination of genetic, metabolic, and hormonal factors. Epidemiological studies have shown that the incidence of osteoporosis in Europe is lower in the Mediterranean basin. The traditional Mediterranean diet, rich in fruit and vegetables, with a high intake of olives and olive products, mainly olive oil, could be one of the environmental factors underlying this difference. 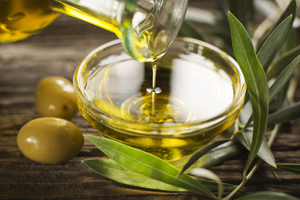 Some reports have suggested that the consumption of olives, olive oil, and oleuropein, an olive oil polyphenol, can prevent the loss of bone mass in animal models of aging-related osteoporosis. Recent in vitro studies have shown that oleuropein, the main phenolic compound in olive leaves and fruit and a constituent of virgin olive oil, reduced the expression of peroxisomal proliferator-activated receptor-γ, inhibiting adipocyte differentiation and enhancing differentiation of mesenchymal stem cells into osteoblasts. In addition, the gene expression of osteoblastogenesis markers, runt-related transcription factor II, osterix, collagen type I, alkaline phosphatase, and osteocalcin, was higher in osteoblast-induced oleuropein-treated cells. 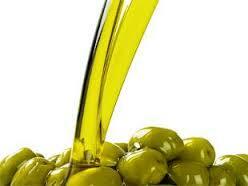 A protective effect of olive oil and oleuropein has also been observed in experimental models. Femoral failure load and diaphyseal bone mineral density were increased after consumption of oleuropein and olive oil in ovariectomized mice. In addition to its role as bone marker, osteocalcin has also been related to glucose homeostasis. Mice lacking osteocalcin displayed decreased β-cell proliferation, glucose intolerance, and insulin resistance when compared with wild-type mice. We are unaware of studies evaluating the effects of olive oil on circulating osteocalcin and its possible relationship with insulin secretion/resistance in humans. The objective of this study was to explore circulating bone formation and resorption markers in association with the intake of olive oil. For comparison, we also studied the effects of consuming nuts and the effects of a low-fat diet. Published evidence suggests that olive oil phenols can be beneficial by preventing the loss of bone mass. It has been demonstrated that they can modulate the proliferative capacity and cell maturation of osteoblasts by increasing alkaline phosphatase activity and depositing calcium ions in the extracellular matrix. Further research on this issue is warranted, given the prevalence of osteoporosis and the few data available on the action of olive oil on bone. The kind of oil you use in your food matters. This is true especially when it comes to bottles labeled extra-virgin olive oil, which can be anything from awful to something so sublime you want to sip it from a spoon. Picking a bottle at random from the supermarket shelf just because it has the lowest price won’t solve the problem. You need to be an informed consumer, especially since most governments aren’t doing a great job of weeding out the olive oil shams from the saints, the U.S. included. So how do you pick a good olive oil—and there are many made by impassioned, principled professionals—that you can trust and that’s right for you? Essentially by learning more about olive oil quality and grades, using your senses to taste and smell it, and listening to referrals to get the best stuff. Flynn asks that you keep one thing in mind: If you’ve had a bad OO experience; don’t turn away from it. There are plenty of great olive oils within reach. 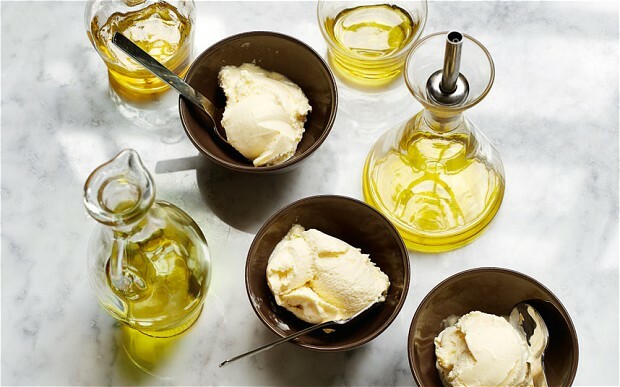 Our olive oil primer below will help you get started. What is olive oil? 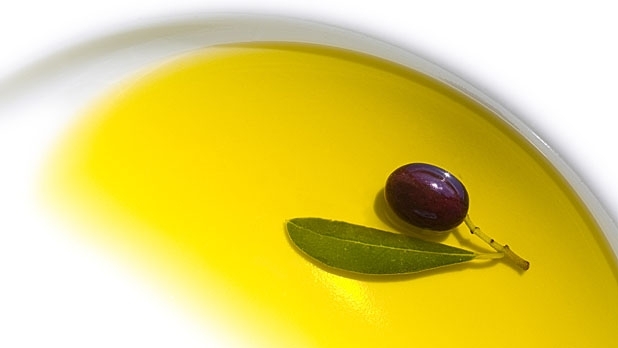 First understand that olive oil is the juice of a fruit—the olive. This fruit juice, like wine, is alive in the bottle and continually changing with external conditions like high heat, which can oxidize and (rarely) hydrogenate it, and light such as UV, which oxidizes the oil and breaks down its chlorophyll. 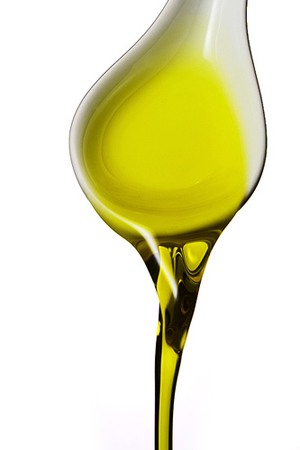 Several varieties of olive, each with its own characteristics, can produce oil. But the best olives oils are often made from one variety. Under optimal conditions, the oil contains up to 30 nutrients, among them beta-carotene, lutein, and vitamin E. It comprises mainly monounsaturated fat, which reduces LDL (bad) cholesterol and raises HDL (good) cholesterol in the bloodstream. The higher the oil quality, the more immune-strengthening antioxidants it has; antioxidants are bitter, so bitter olive oil is a good thing. Olive oil is also a natural anti-inflammatory, generating an ibuprofen-like effect. A cornerstone of the Mediterranean diet, olive oil protects the body from obesity and cancer, and it can reduce the risk of heart disease (with two tablespoons minimum a day) and diabetes type 2. It is a myth that its fats turn saturated or to trans fats when it’s used in cooking, even for high-heat frying, according to the International Olive Oil Council (IOC). NEW YORK, Dec 7 — New research from Harvard University suggests it could put years on your life. But a Mediterranean diet rich in pungent olive oil does not come cheap, and it is just about to get a lot more expensive. 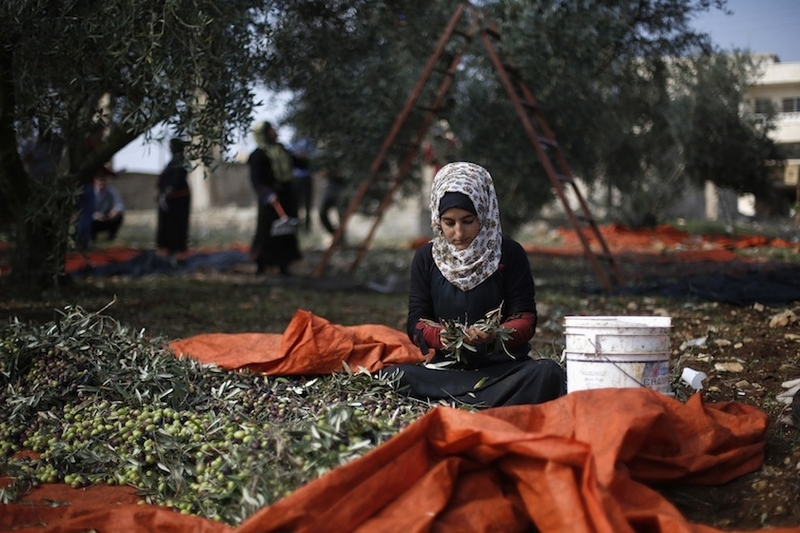 Disastrous olive harvests in much of southern Europe have sent wholesale prices shooting up, meaning consumers around the world are going to have to get used to paying substantially more for a culinary staple prized equally by gourmets and physicians. Nowhere has the impact of freakish summer weather been felt more painfully than in Tuscany and Umbria, where the subtly aromatic, extra-virgin oils reaped from timeless landscapes provide the industry’s global benchmark for quality. In Spain, which last year accounted for half the world’s production of all grades of olive oil, a toxic cocktail of scorching temperatures, drought and bacteria is expected to halve output this year. This has the loveliest texture of any chocolate mousse I have ever tasted. If your chocolate and olive oil mixture splits you can rescue it by taking a new egg yolk and whisking the curdled mixture into it a drop at a time. 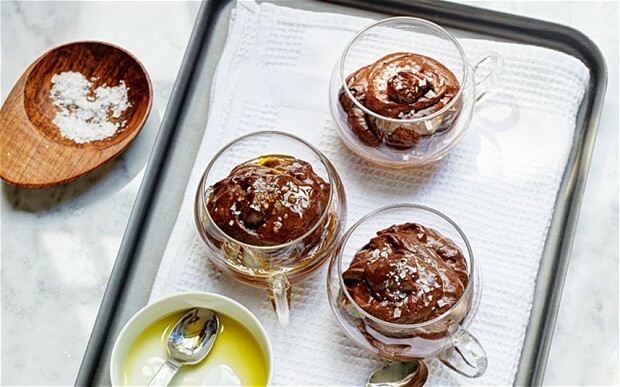 Melt the chocolate in a bowl set over a pan of simmering water, stirring from time to time. (The bottom of the bowl should not touch the water.) Leave to cool a little. Stir 30g (1oz) of the sugar into the five egg yolks, then gradually add this to the chocolate. Slowly and steadily stir in the oil, then the brandy. Begin by setting a bowl in a sink of ice-cold water. Eataly’s Nick Coleman says nothing’s slicker than choosing the perfect olive oil. But for such an essential element, most of us know far less about olive oil’s finer points than, say, a good Cabernet. So we turned to Nick Coleman, chief olive oil specialist at Mario Batali’s Eataly, for advice. Click through the gallery below for his favorite labels and top tips for stocking and cooking with the viscous liquid. Step 1 | Bring a large pot of generously salted water to a boil. – Step 2 | Trim the broccoli: Remove the florets and peel and dice the stems, keeping them separate. You should have about 5 cups total. – Step 3 | Chop coarsely together by hand the garlic, anchovy fillets, capers, olives and pistachios. – Step 4 | Heat the oil gently in a skillet large enough to hold the pasta later. Add the chile and discard when it begins to color. Add the garlic mixture to the pan and cook gently in the oil until it just begins to turn gold, about 2 minutes. Step 5 | When the water is boiling rapidly, add the broccoli stems and cook for 2 minutes. Add the florets and continue cooking until they are bright green and tender, but still slightly crisp and not mushy, 4 to 5 minutes. – Step 6 | Lift the cooked broccoli out of the pot with a slotted spoon or spider strainer right into the skillet, leaving the water boiling in the pot. Stir the broccoli and garlic mixture together, breaking up any large florets with the spoon; the broccoli pieces should be small enough to coat the pasta. Taste the broccoli mixture and add more salt if necessary (with anchovies, olives and capers, you will probably not need any), and let the flavors blend for a couple minutes over low heat. Step 7 | Meanwhile, add the pasta to the boiling water and cook, stirring occasionally, until it is al dente, generally 8 to 10 minutes. Step 8 | When the pasta is done, lift it out of the water and transfer it, rather wet, to the skillet. Mix well over low heat for about 30 seconds, sprinkle with the cheese and mix again. Transfer to a warm serving dish or serve directly from the skillet. Serve immediately.